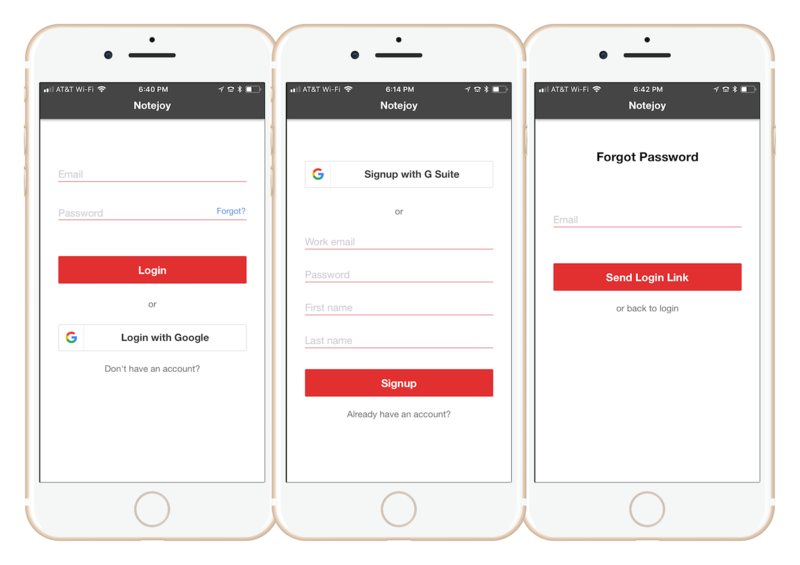 Today we launched a simplified iOS signup to make it super quick to get started with Notejoy. It's now just one-click signup with a Google account or a few simple fields to get going with any e-mail address. 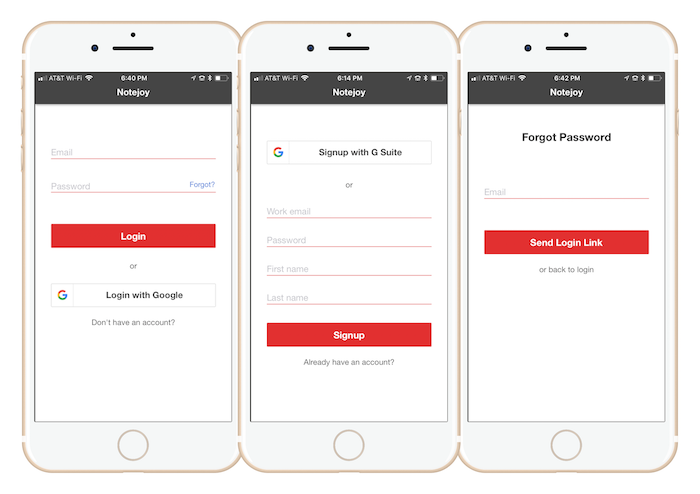 We've also added a forgot password option into the app, which will send you a quick link and then immediately give you access to the app. Get Notejoy v1.1 from the iOS App Store to enjoy these updates.